Emirates Global Aluminium (EGA) announced that it has commenced the operations of Al Taweelah alumina refinery, a new industrial activity for the UAE. Alumina is the feedstock for aluminium smelters and is refined from bauxite ore, the company said in a recent statement. Located in Khalifa Industrial Zone Abu Dhabi, the refinery’s total cost amounted to $3.3 billion. “The start-up of Al Taweelah alumina refinery is transformative for EGA and the first of two major milestones this year as we complete our strategic growth projects upstream in the aluminium value chain,” Abdulla Kalban, EGA’s managing director and CEO commented. Al Taweelah refinery is a strategic growth project that expands the industrial giant’s business upstream in the aluminium value chain. It is considered the first alumina refinery to be built in the UAE and only the second in the Middle East. “Al Taweelah alumina refinery, and our bauxite mining project in Guinea where construction continues, secure our supply of raw materials at competitive prices and will strengthen EGA’s business for decades ahead,” Kalban added. The newly opened refinery is expected to convert some five million tonnes of bauxite into alumina per year, once full ramp-up is achieved. It also comprises 9,500 instruments, 222 tanks, enough piping to stretch from Abu Dhabi to Muscat, and cabling that would reach from Abu Dhabi to Cairo. 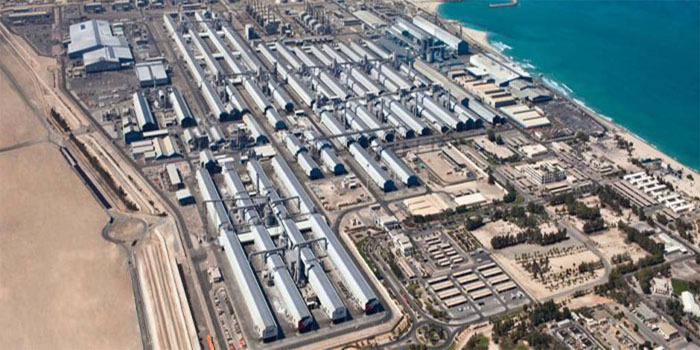 In December 2018, EGA revealed that it has completed the commissioning of the first major section of its under-construction alumina refinery at Al Taweelah in Abu Dhabi.